Learn about OneTouch EMR’s medical record software for businesses. Includes info on OneTouch EMR, free trials, pricing, customer reviews, and FAQs. OneTouch EMR is a medical records platform for businesses. 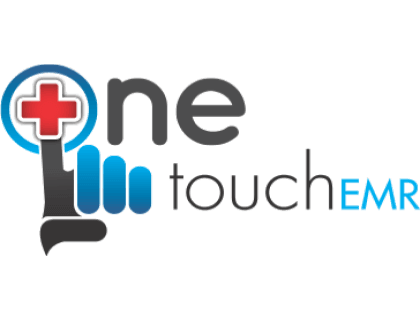 OneTouch EMR’s solutions include e-Prescribing capabilities, appointment reminders and medical voice dictation. Businesses can use OneTouch EMR to automate medical records processes. Pros: Many automated features and easily customizable. Cons: Inability to cut and paste templates. Text message reminders are not always on time. Bottomline: Accurate electronic medical records software that’s easy to use. What is OneTouch EMR’s price range? OneTouch EMR plans range from $0.00 to $565.00 per month. If you want a Revenue plan, you can contact OneTouch EMR to get a quote. Is there a OneTouch EMR free trial? Where can I find the OneTouch EMR login? You can go to www.onetouchemr.com and find the “Login” at the top right corner of the homepage. What are some OneTouch EMR alternatives?